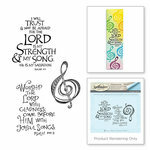 Praise Him with your bible journaling when you use the On The Sparrow Unmounted Rubber Stamp Set designed by Bonnie Krebs for the Bible Journaling Collection by Art Impressions. 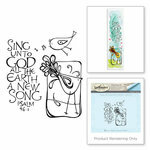 Included in the package are 10 cling rubber stamps in designs of sparrows, tree branches, a nest and scripture. 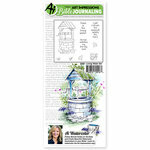 The stamps can be used with your favorite inks and an acrylic block, sold separately. 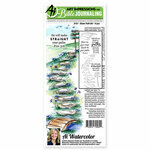 Package size 4" x 9"